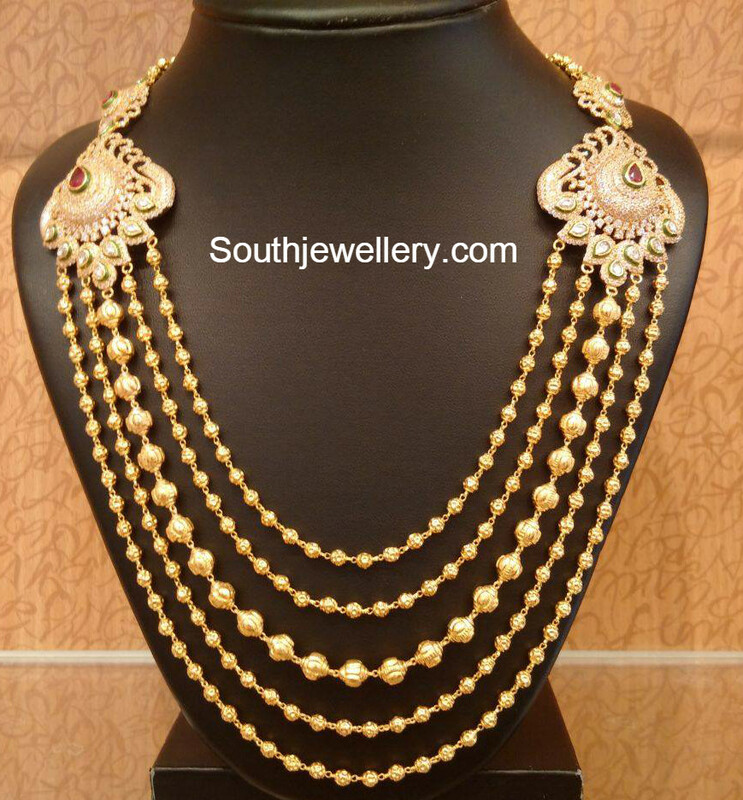 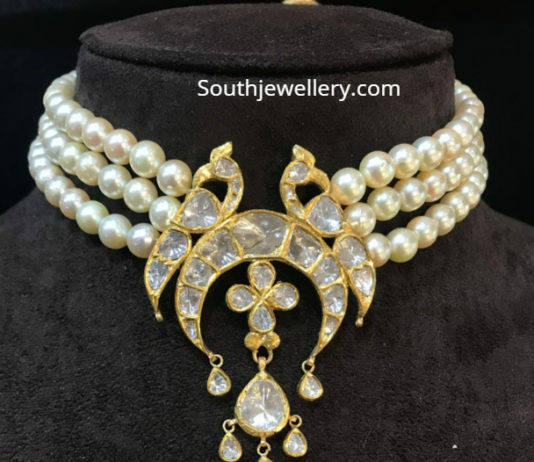 22 carat gold antique peacock haram with Lakshmi pendant adorned with kundans and south sea pearls by Kalyani jewellers. 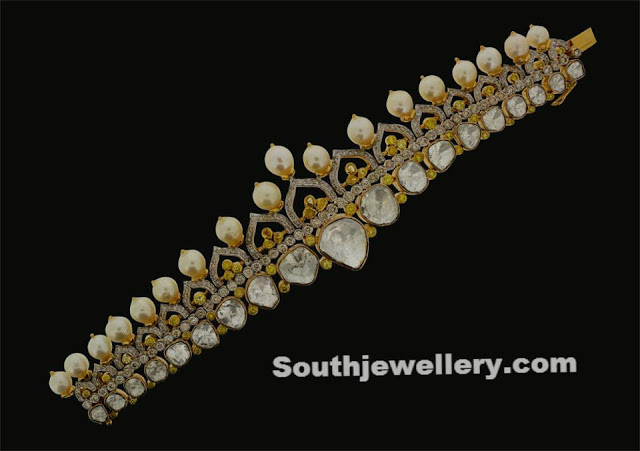 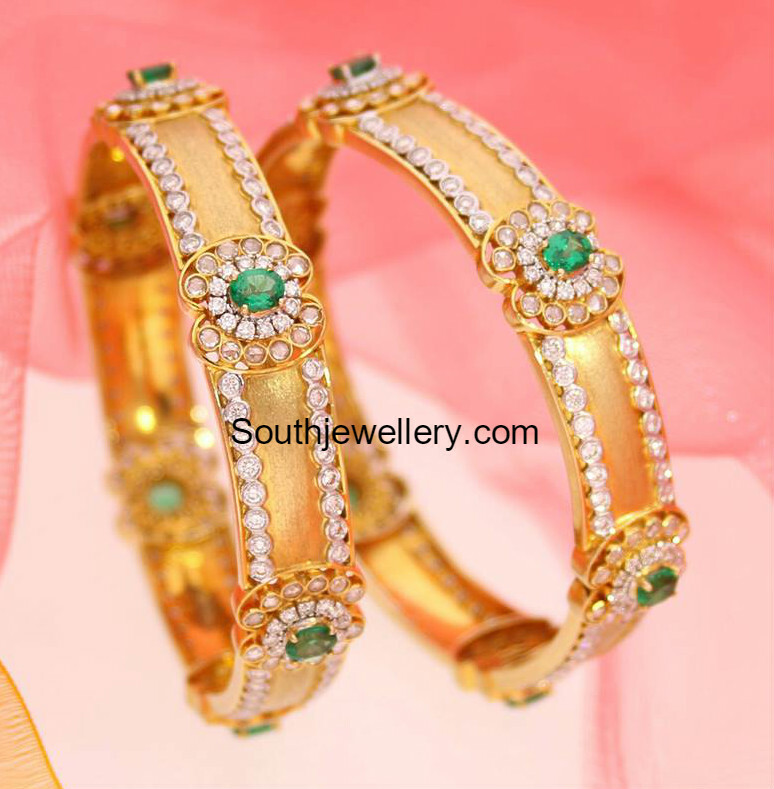 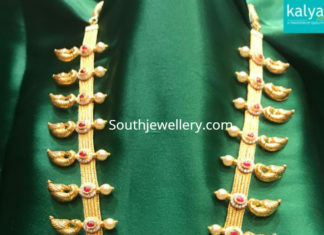 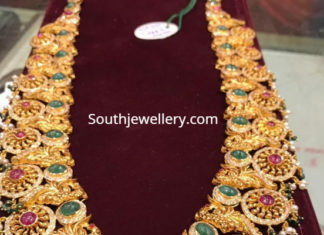 22 Carat gold antique peacock nakshi haram adorned with polki diamonds, rubies, emeralds and pearls by P Satyanarayan and Sons Jewellers. 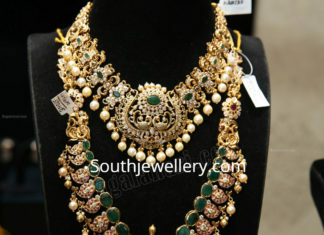 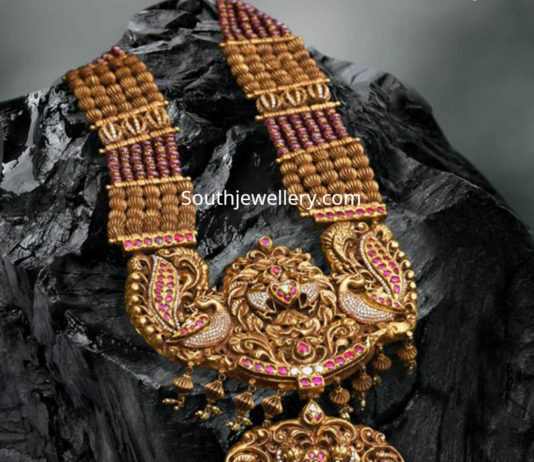 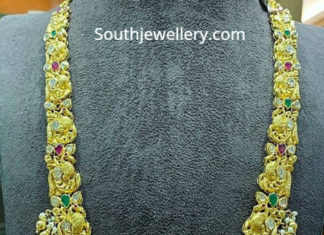 22 Carat gold antique necklace with peacock pendant adorned with rubies, emeralds, polki diamonds and pearls by Parnicaa jewellery. 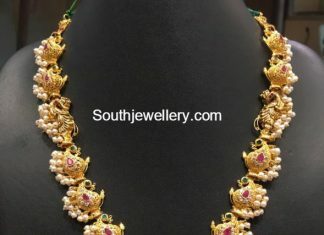 22 carat gold paisley design haram adorned with rubies and south sea pearls.